Students Charlotte Hoffs, Andrew Keyser, Joseph Ravenna and Ben Sharp have been named semifinalists for National Merit Scholarships. These seniors will compete among 7,500 of their peers for National Merit Scholarships worth more than $32 million next spring. 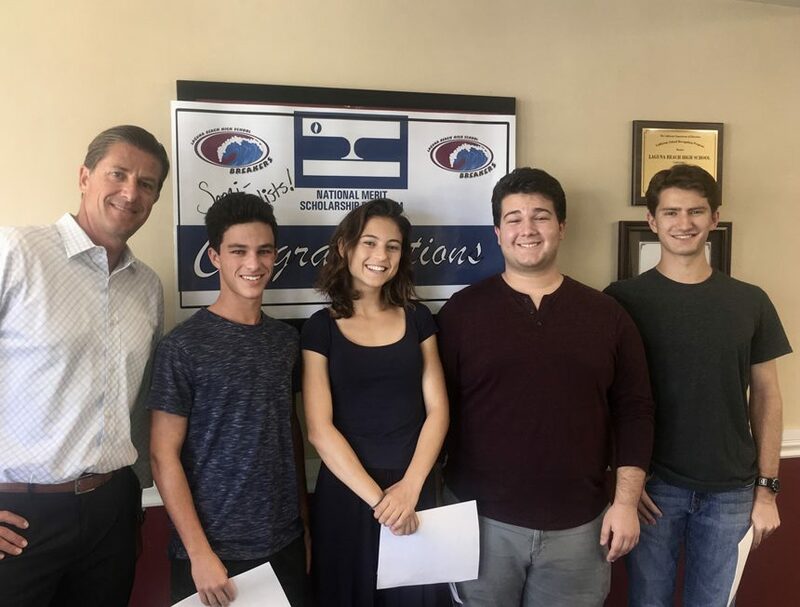 “This group of students fairly represents the product of hard work in rigorous classroom settings,” said Laguna Beach High School Principal Jason Allemann. Most semifinalists fulfill requirements needed to advance as a finalist and half of the finalists will win a National Merit Scholarship, says a district announcement. Semifinalists, who represent less than one percent of U.S. high school seniors, qualified by taking a standardized test as juniors. Hayley Hidalgo, a graduate of Laguna Beach High School, was selected among 15 incoming freshman at Indiana University as a Dean’s Council Scholar.